Lena Woodward, an elderly woman, enlists the help of both lawyer Catherine Lockhart and private investigator Liam Taggart to appraise the story of her harrowing past in Nazi occupied Poland. At the same time, Lena’s son Arthur presents her with a hefty lawsuit under the pretense of garnering her estate—and independence—for his own purposes. Where these stories intersect is through Lena’s dubious account of her life in war-torn Poland, and her sisterhood with a childhood friend named Karolina. Lena and Karolina struggled to live through the atrocity of the Holocaust, and at the same time harbored a courageous, yet mysterious secret of maternity that has troubled Lena throughout her adult life. In telling her story to Catherine and Liam, Lena not only exposes the realities of overcoming the horrors of the Holocaust, she also comes to terms with her own connection to her dark past. There is this thing called show and tell when it comes to books. I prefer books that show me the story where I can feel the emotional part and visualize what is taking place. Karolina's Twins is very much a 'tell' book and I struggled with that at the beginning. After a long second chapter, that almost read like a textbook. I was questioning whether I should continue. I hate giving up on a book, so I gave myself another 10% before throwing in the towel. That little bit more pulled me back in, and while I still struggled with the writing the story had me captivated. The 89-year-old Lena tells her life story, feeling the need to unburden herself from the secrets of the past. She describes her life as a Polish Jewish teen before and during Hitler's reign. Her story interested me as did the mystery surrounding the twins. While I struggled to feel an emotional attachment to Lena as a character until the last half of the book (the Lena from the past) the author was able to convey visual aspects of the atrocious events taking place. "You are a Jew. They cannot take that from you. The Nazis can take away your house, they can take away your bread, they can even take your body, but they cannot take away who you are." Why am I giving this book 4 stars if I struggled with it? Basically because I read the last 60% in one day. For an author to create a story that does that, making me overlook flaws, to find out what happens earns that extra star. The author was able to 'show' the story in the 'telling' and I thought that was great. The past story was emotional and it is one that has stayed with me long after I finished reading it. It wasn't till I finished reading that I discovered this is the third book in the Liam & Catherine Series. While it definitely works as a standalone, there were references to the past that stood out that I didn't understand. 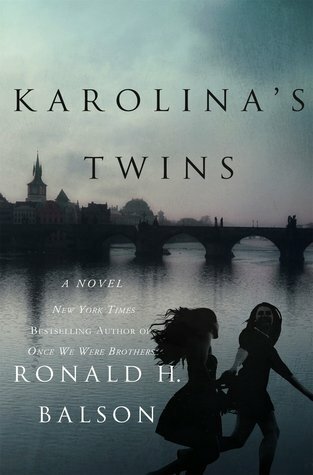 Karolina's Twins is one that I will recommend, thank you to St. Martin's Press for an advanced copy (via Netgalley). 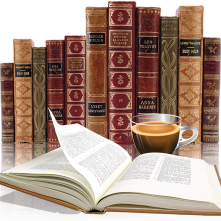 Isn't it funny how two people can have such different experiences when reading a book? This one hooked me from the beginning! And though I did catch a few references to earlier books in the series, I didn't find them at all distracting. Guess it just goes to prove that every book has its audience! I just reviewed this one last week. If you care to compare reviews, you can find it here.